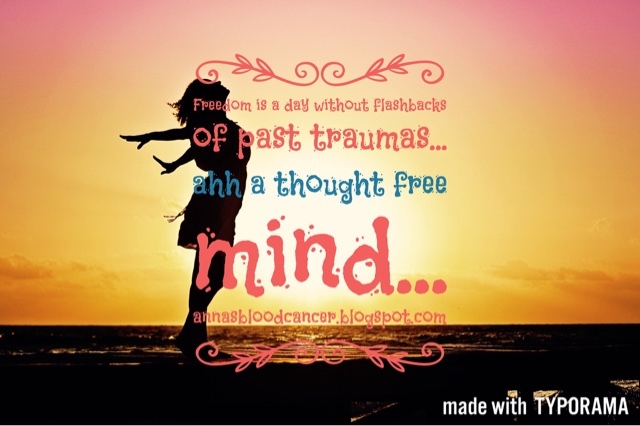 I have found over the past few months since I have been in remission I’ve found that at any time when I am busy getting on with my life suddenly something can trigger a flashbacks. These can be the random things and the memory they revive random too!! I went through so much while I was fighting AML and it’s so hard to put it all down…I still have a lot of writing to do! I decided to write this post now as the other day I wore my ‘summer’ dressing gown (yea I know we are still waiting for summer and it’s now June!). Two sad things came to me; firstly when I bought the dressing gown from Next I really liked it as it was exactly what I was looking for…lightweight but still snuggly, secondly I used to love the smell of freshly washed clothes but when this particular washing powder brand scent hit me it was not pleasant. My mind immediately flashed back to me in hospital, getting out of the bed, putting the dressing gown to go to the bathroom. This was such a hard thing to do at the time as I was so weak, it would take me ages to work up the strength. Just one example of how simple things really exhausted me! Once I’d made it back to my bed after what felt like running a marathon I would collapse and lie there getting my breath back. Oh that unrelenting feeling of sheer exhaustion day after day, the shortness of breath and total loss of confidence in what my body was capable of. Note to self…don’t buy that particular brand again. Shame as I used to love that smell! Another example, the other day I was reading a book and saw the word ‘acute’ and my heart missed a beat, my hands tingled and I started to panic. The words ‘you have Acute Myeloid Leukaemia’ flashed into my mind and the overwhelming fear was back. This book was just a crime novel with absolutely nothing to do with illness or cancer. Washing my hands always makes my anxious as while I was having treatment I became so paranoid about picking up infections this became a very important ritual. I wouldn’t touch door handles and could see germs everywhere around me. I wonder how many others like me have now become OCD about this even once treatment has finished.